Tourism Minister of Jamaica, Hon. Edmund Bartlett, says the island experienced record-breaking stopover arrivals from May to August this year, with provisional estimates showing stopover arrivals up by 6 percent, over the same period last year. The UK market has also performed well during the months of June and July with visitor numbers up by 3% and positive projections for the rest of the summer months. Data received by the Jamaica Tourist Board (JTB), also indicate that an estimated gross foreign exchange earnings for the period January to July 2018 were US$1,935.8 million, up 6.3 percent over the same period in 2017, with stopover arrival earnings of US$1,821.5 million, up 6.2 percent and cruise passenger earnings US$110.1 million up 8.1 percent. “The preliminary data also shows that earnings up to the end of August are over $2 billion. 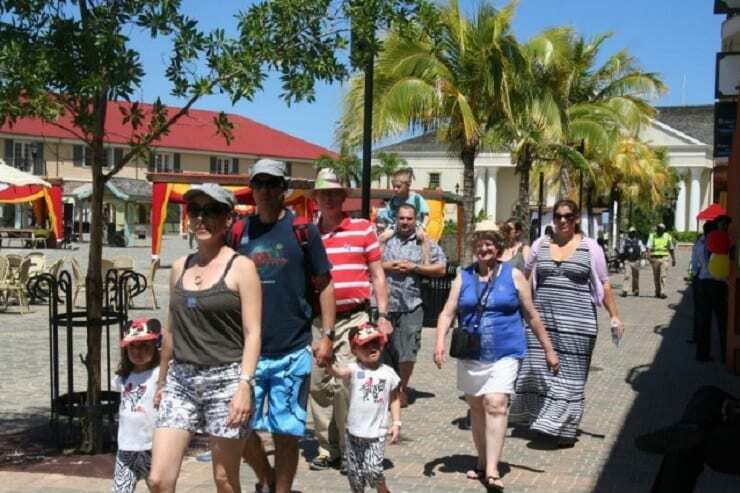 Expenditure from tourists for the first 8 months is $2.2 billion. We are trending well ahead of the 3 billion mark for the end of the calendar year,” says the Minister. “The projections that we made for growth last year was for 5 percent per annum for 5 years. Last year we broke all of that because we got 12 percent – that is a phenomenal achievement. We are excited about that prospect and we are seeing that we are going to get to that mark,” said the Minister.